The 17th Century was a time of turmoil in Scotland, England, Wales and Ireland. Violence and warfare typified the period as Catholic and Protestant, Church of England and Presbyterian; King and Parliament all sought control over the institutions of the state. Open warfare started with the attempt by Charles I to impose the structure and teachings of the Church of England on Scotland. The Scots created a ‘Covenant’ to fight this and a Covenanter Army confronted Charles I’s Army in 1639. 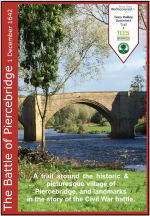 This ‘First Bishops’ War’ was inconclusive but then in 1640 the situation deteriorated again and in the Second Bishops’ War the Covenanter army swept into the northeast of England, defeating the Royalist Army at the Battle of Newburn on the Tyne. 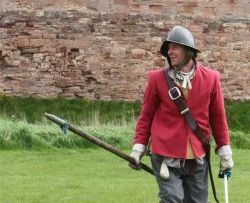 The Scottish army then occupied the counties of Durham and Northumberland and the River Tees became a military frontier. King Charles’ response was to recall Parliament to seek funds to fight the Scots. Parliament had many grievances against the King and as a result of these the English Civil Wars broke out. The first English Civil War lasted from 1642 to 1646 and ended with the capture of Charles I by the Parliament. The Second English Civil War ran from 1648 to 30th January 1649 when Charles was executed. 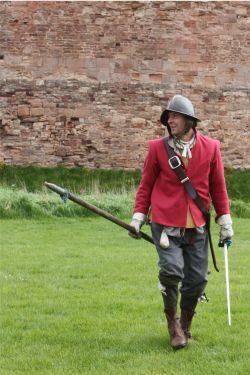 The Third English Civil War lasted from 1650 to 1651 when Charles II made an agreement with the Scots and tried unsuccessfully to take his throne. 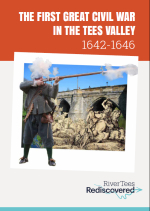 Each part of the country, each village and each family contained different loyalties and the Tees Valley was no different. Each part of the country also saw various amounts of conflict and the North East was fortunate in not witnessing major battles, however it did provide large numbers of troops for the Royalist army. 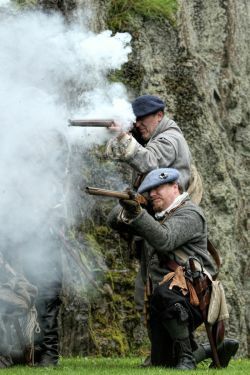 There were a number of skirmishes and the Scottish Army occupied the counties of Durham and Northumberland for a considerable amount of time bringing hardship to the area. The Pennyman family of Marske Hall raise a regiment for the King. 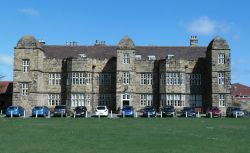 The functioning of the Tees as a military frontier following the Second Bishops’ War with Scottish garrisons being established in places like Hartlepool. Royalist supplies were landed in Newcastle and sent south into Yorkshire in great convoys with military escorts. 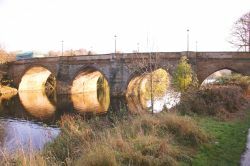 Attempts were made to stop these convoys at the crossing points of the Tees and fighting happened at Yarm and Piercebridge and further inland at Guisborough. Croft Bridge may have been in too poor a condition to carry the weight of traffic which is why it wasn’t used. War at Sea. London was dependant on ships bringing North-Eastern coal for heating and the King was dependant on arms and supplies being shipped across from the continent to the North-East coast. As a result privateers were constantly in action along the coast.